EC-Council Disaster Recovery Professional (EDRP) is a comprehensive professional course that teaches students how to develop enterprise-wide business continuity and disaster recovery plans. 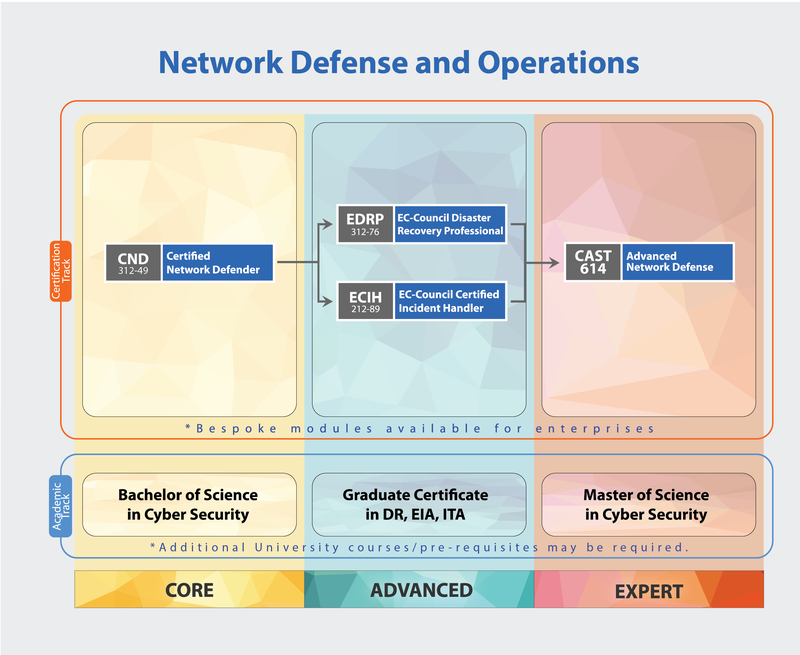 EDRP provides the students with a strong understanding of business continuity and disaster recovery principles, including conducting business impact analysis, assessing of risks, developing policies and procedures, and implementing a plan. EDRP teaches students how to secure data by putting policies and procedures in place, and how to recover and restore their organization’s critical data in the aftermath of a disaster. The release of the latest version of the EC-Council Disaster Recovery Professional (EDRP) v3 captures the latest strategies, technologies and operational skills required by IT and Risk professionals today in managing their organization’s business continuity and disaster recovery requirements. IT Professionals in the BC/DR or System Administration domain, Business Continuity and Disaster Recovery Consultants, Individuals wanting to establish themselves in the field of IT Business, Continuity and Disaster Recovery, IT Risk Managers and Consultants, CISOs and IT Directors.